Governor-General Sir Bob Dadae says the loss of another North Coast Aviation pilot is a great loss to the people of Kabwum, Morobe and Papua New Guinea. 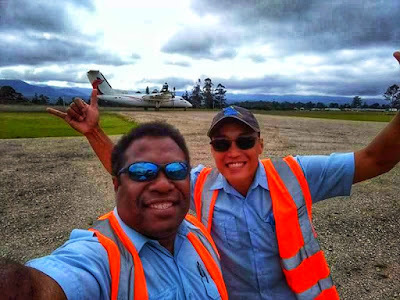 The former Kabwum MP said this yesterday when passing his condolences to NCA on the loss of Australian pilot, David Tong, after a Britten Norman Islander crash on Mt Saruwaged in the rugged Saruwaged Range of Morobe last Saturday. His death comes after that of NCA's chief pilot Captain Thomas Keindip, from Kabwum, after a short illness last month. North Coast Aviation pilots Thomas Kendip and David Tong at Tari Airport, Hela, in June this year. Tong crashed into Mt Saruwaged, the fourth highest mountain in the country at 13,520 feet above sea level, in very bad weather when returning to Lae from Kabwum. From Melbourne, Australia, Tong joined NCA in Nov 2016 and has been described by friends and family as a friendly and likeable person. He was alive when he crashed at 9000ft and called NCA at Nadzab on his mobile phone, however, bad weather prevented rescue teams from going in. 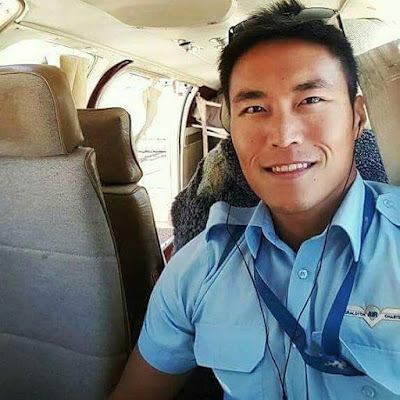 It was only on Tuesday, four days after the crash, that a search-and-rescue team from Porgera mine went into the crash site but Tong was already dead. The death has already sparked off much controversy over search-and-rescue efforts, given that the crash site is not that far away from Nadzab, and the fact that he was alive at the time of the crash. 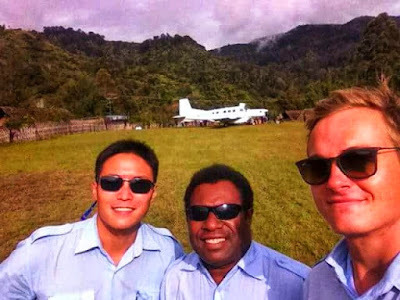 David Tong, Thomas Keindip and a fellow North Coast Aviation pilot at Teptep airstrip in Kabwum, Morobe, earlier this year. 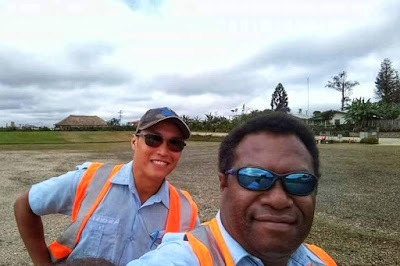 Sir Bob said it was only because of dedicated NCA pilots like Tong and Keindip that goods and services had reached Kabwum over the years. "Lady Hannah and I, on behalf of our family, people of Kabwum, Morobe and PNG would like to express our deepest sorrow and sadness to the family, management and staff of NCA for the death of another experienced pilot (Tong) in a short time after we lost Capt Thomas (Keindip) not long ago," he said. "Having benefitted so much from NCA during my 30 years service in the province, I am very saddened by these tragedies. "May God give everyone peace."